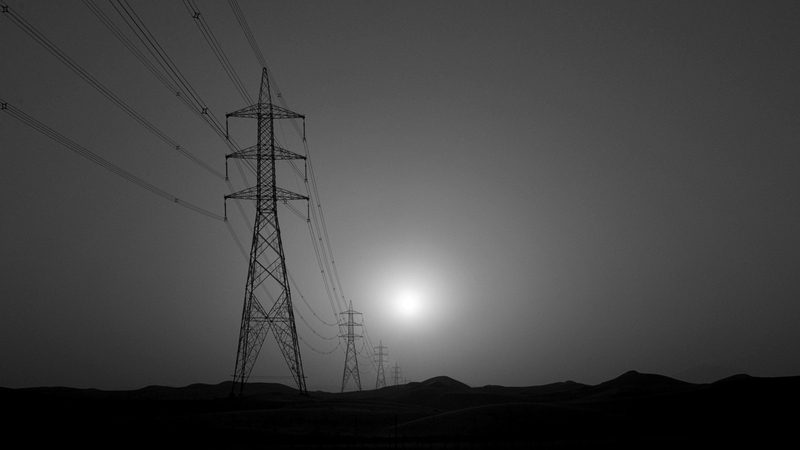 One could seldom miss the massive power lines crisscross desert landscape on the roadside here in Middle East. They have many faces, during the sunrise and sunset, these massive power grids becomes the giants waiting to be harnessed. It is like they are absorbing those wonderful beautiful suns energy right into its massive metal frames. I have been photographing them whenever I get chance. This is one of its faces I am presenting now. This photograph has a special meaning to me. This was taken during a sunrise in Alain, UAE. Why is it significant? Well, it is a new day, new beginning, sun is coming up and these power lines are for carrying the energy to a hungry city. To feed it, to satisfy its hunger … May be time to think of harnessing sun’s energy more than the fossil fuel ?